This recipe is easy and almost TOO delicious. I'm not kidding, it's one of my favorite appetizers. Slice zucchini into fries (optional: peel skin off) and set aside. In a large bowl, whisk egg white into a froth and set aside. In a large bowl, mix together the bread crumbs, garlic, onion powder, paprika, and seasoned salt. Heat oil till a small chunk of breadcrumbs sizzles when dropped in. While that is heating up, dip zucchini fry into egg wash until coated. Cover in crumbs and if you want them extra crispy, do the egg wash and crumbs again. 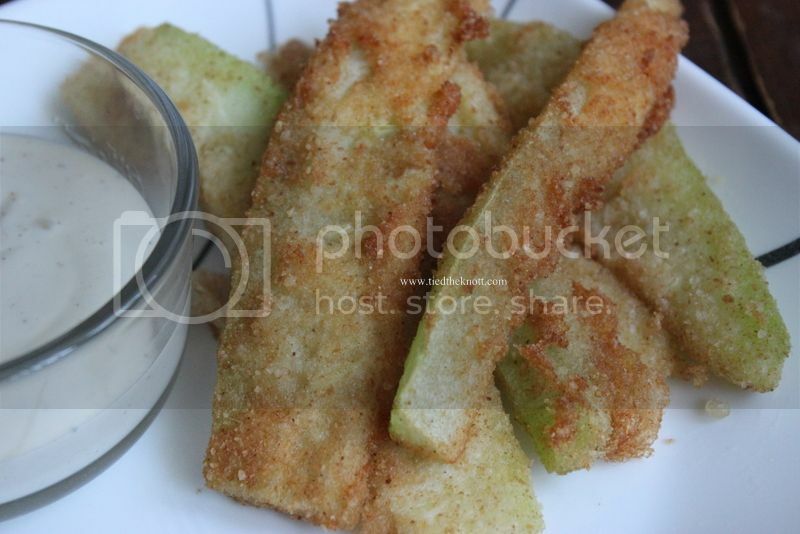 When oil is heated, drop coated zucchini in and let fry until golden. Remove from oil with tongs and place on a paper towel covered plate to get rid of the excess oil. Serve with ranch for dipping.